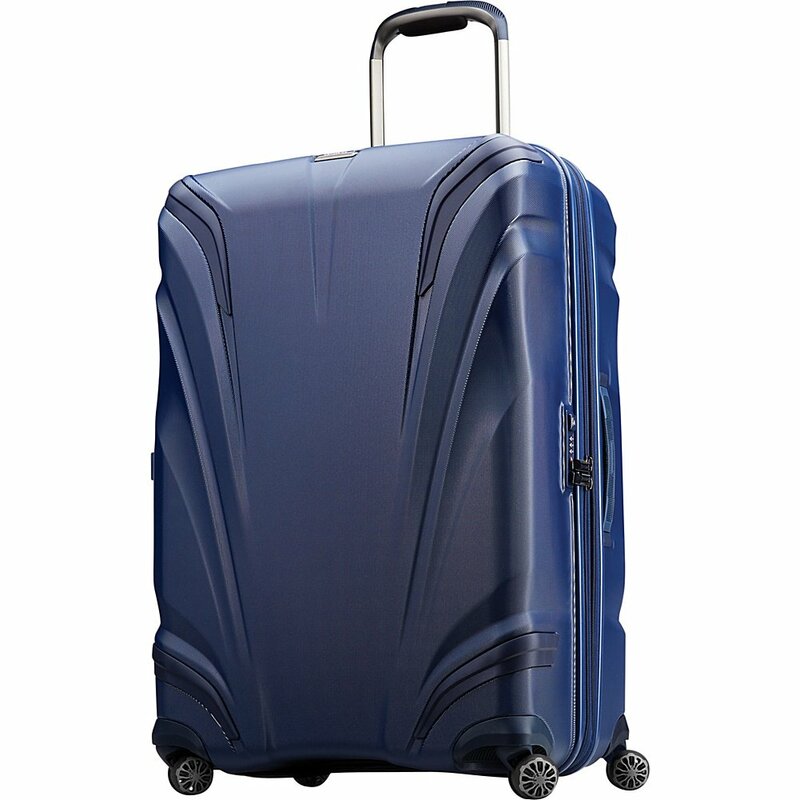 The Samsonite Silhouette XV offers a multi-directional spinner design, polycarbonate construction, and an easy identification system. What further separates the Silhouette XV from the countless cases manufactured by rival brands? Samsonite has produced hundreds, maybe even thousands, of seriously impressive checked luggage suitcases, but few have been as impressive as the brand’s Silhouette XV. 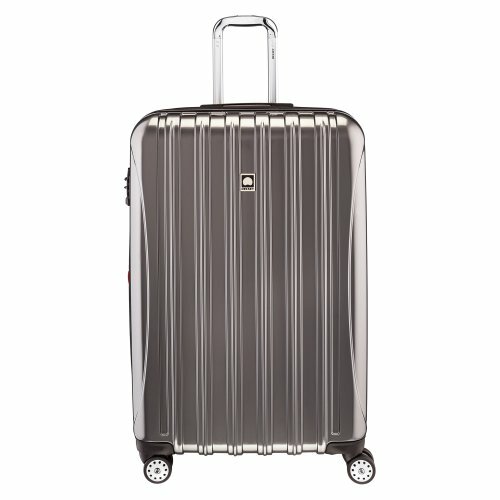 So, what exactly makes the Silhouette XV stand out from the many other checked luggage options Samsonite has produced? Right height pull handle system features multiple height adjustments that makes it easy to custom fit the bag to most body types. Set the handle at the position that's best for you to reduce weight-bearing stress on your arm and back! Deluxe cushioning and rubber seals on our new, wider pull handle combine to provide an exceptionally comfortable grip. Right height pull handle system features multiple height adjustments that makes it easy to custom fit the bag to most body types. Set the handles at the position that is best for you to reduce weight-bearing stress on your arm and back! Tru-trac wheel system feature a v-shaped, camber instructed design for a straight roll every time. In designing the Silhouette XV, Samsonite sought to produce a checked luggage suitcase which could be used by all travelers, regardless of their size or body type. 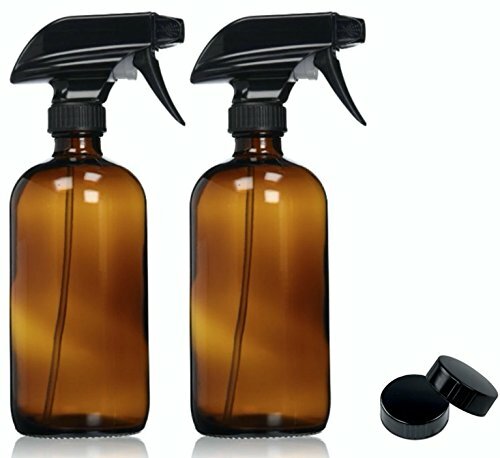 For this reason, the brand fitted the case with a unique Right Height handle system, which allows the handle to be raised and lowered to a variety of levels. Thanks to these multiple height adjustments, you will almost certainly be able to fix the handle at a level which is comfortable for you, thereby reducing the weight you must bear while transporting your case. To further simplify the transportation of the Silhouette XV, Samsonite fitted the aforementioned handle with deluxe cushioning and soft rubber seals, which allows it to be gripped for long periods of time without causing pain or leaving marks on your hands. 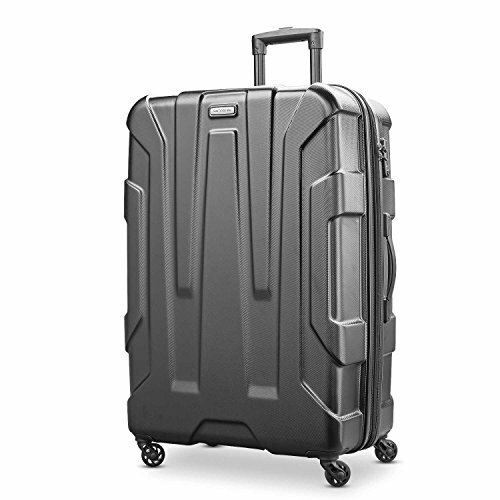 Working in conjunction with the Samsonite Silhouette XV’s Right Height handle is the Tru-Trac wheel system, which further eases the stress of getting the case from your car, through the airport, and to your boarding point. This Tru-Trac wheel system comprises four multi-directional wheels which use a V design to ensure a straight roll in whatever direction you are heading. Along with their multi-directional spinner design, these wheels boast multi-surface capabilities and can be rolled along close to any surface without risk of wobbling, drifting, or slipping. For a hard-side to be effective, it must be resilient to knocks and bumps while being easy to maneuver through the streets and airports. That’s why the Samsonite Silhouette XV features complete polycarbonate construction. The polycarbonate shell ensures the case and everything in it will get from your point of departure to your destination intact. As well as boasting superior shock absorption, polycarbonate is a lightweight plastic, which gives the Samsonite Silhouette XV a weight of just 12.1 pounds when empty. 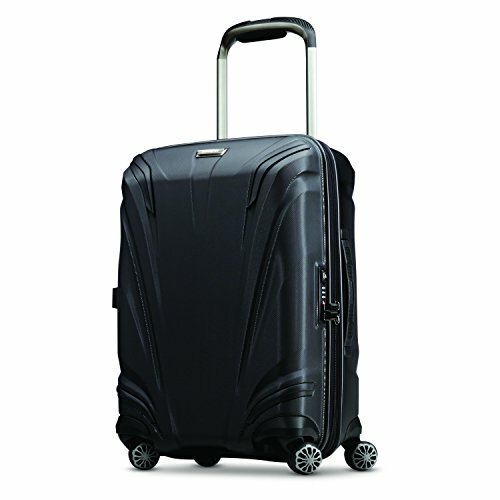 Much like the case’s aforementioned Right Height handle and Tru-Trac wheel system, this lightweight design breeds convenience and allows the Samsonite Silhouette XV to be used and maneuvered without issue. 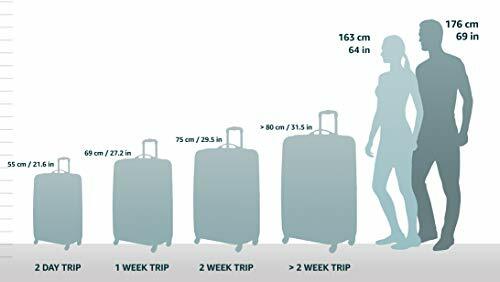 If your clothing requirements vary from trip to trip, your chosen checked luggage suitcase should be capable of holding both a weekend’s worth of clothing and a week’s worth of clothing. The Samsonite Silhouette XV comes available in a number of sizes and each one boasts an expandable design, so you won’t have any trouble finding a model that is capable of storing your most extensive collection of clothes. If you are indeed unable to place your expanded Samsonite Silhouette XV into your plane’s overhead storage bin, baggage claim will lie in your future. For the average traveler, baggage claim rarely runs smoothly. Quite often, one retrieves a case from the conveyor belt believing it to be their own only to discover the case actually belongs to a fellow traveler with similar tastes. With the Silhouette XV, however, such embarrassing mishaps are almost entirely eradicated. 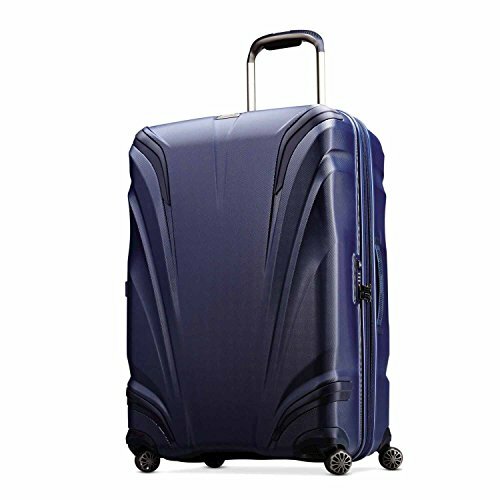 Samsonite designed this case to be easily recognizable, which it largely achieved through the use of polycarbonate. 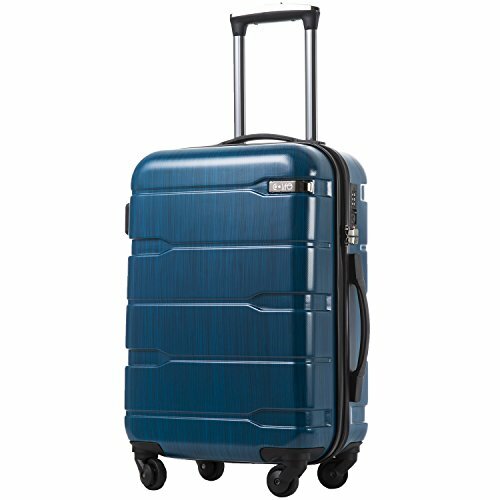 Unlike many other materials which are commonly used in the manufacturing of hard-side checked luggage suitcases, polycarbonate can be molded and styled in a variety of ways, which allowed Samsonite to produce the Silhouette in two distinct and unique colors. A traditional black model is available, but the Twilight Blue alternative is particularly easy to spot when gazing at a large number of rotating cases. Samsonite also fitted each model of the Silhouette XV with an integrated ID tag – which you’ll find within the pull handle bezel – for easy confirmation of ownership. One of the major drawbacks of the Samsonite Silhouette XV is its price, as it generally sells for over $200 and, in some cases, could set you back closer to $300. That being said, many of Samsonite’s most loyal customers will tell you that this case is worth every penny. Their enthusiasm comes largely from the case’s multitude of features, including its Tru-Trac wheel system and Right Height handle, both of which make transportation of the case remarkably simple. Similarly, the various measures Samsonite took to make the case easily identifiable remove the need for wasting upwards of an hour of your trip standing before an airport carousel trying to determine which of the many cases belongs to you. 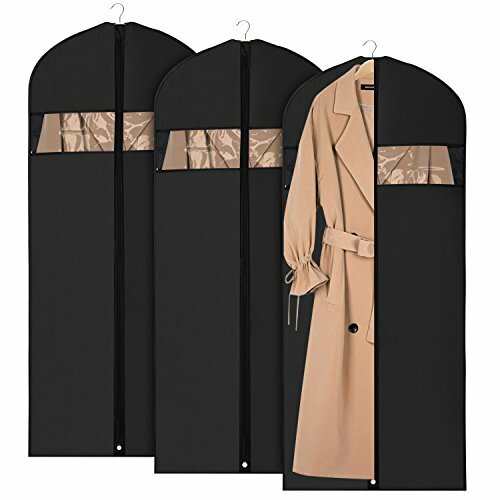 Meanwhile, the expandable design of the case makes it perfect for business people who must tackle a number of meetings when in town and need a different outfit for each. You’ll also appreciate the expandable design if you just like to stock up on souvenirs to help you remember your journey. Yes, $200 may seem like a lot to pay for a piece of luggage, but if you are constantly on the road a one-off purchase of the Samsonite Silhouette XV will likely suit you better than purchasing a $50 alternative every two years. 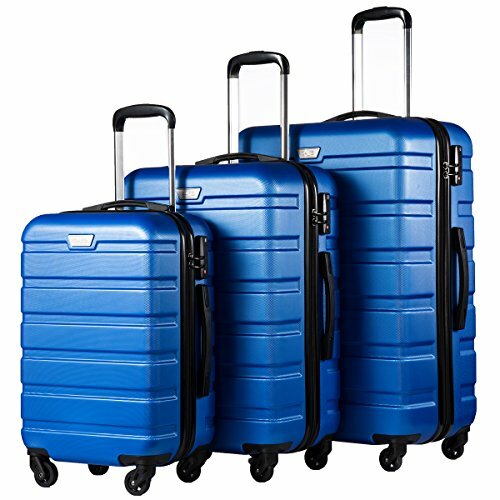 Delsey Helium Aero - checked luggage suitcase, offering double spinner wheels, dual compartments and only weighing 10.2 pounds, making this checked luggage a favorite among vacationers and professional explorers alike. 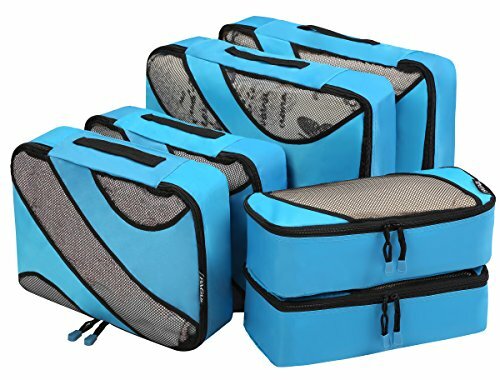 Go with a checked luggage suitcase from a subpar manufacturer and you will soon find no amount of cash saved is worth the torn seams, low capacity, and general inconvenience. 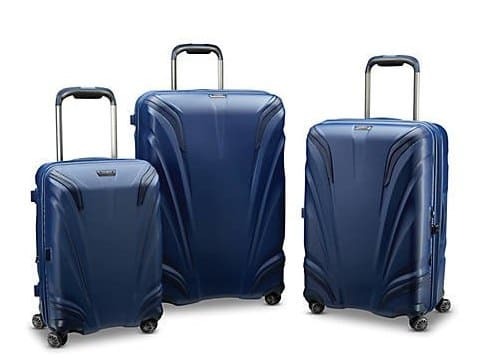 Samsonite Silhouette XV - The Samsonite Silhouette XV offers a multi-directional spinner design, polycarbonate construction, and an easy identification system. What further separates the Silhouette XV from the countless cases manufactured by rival brands? Samsonite has produced hundreds, maybe even thousands, of seriously impressive checked luggage suitcases, but few have been as impressive as the brand’s Silhouette XV. 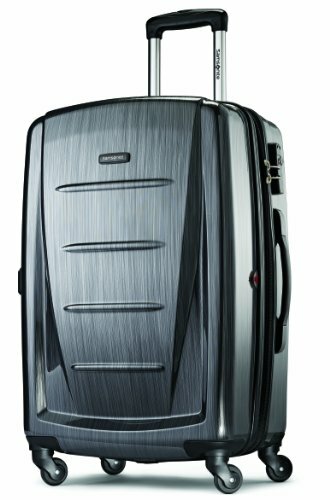 So, what exactly makes the Silhouette XV stand out from the many other checked luggage options Samsonite has produced? 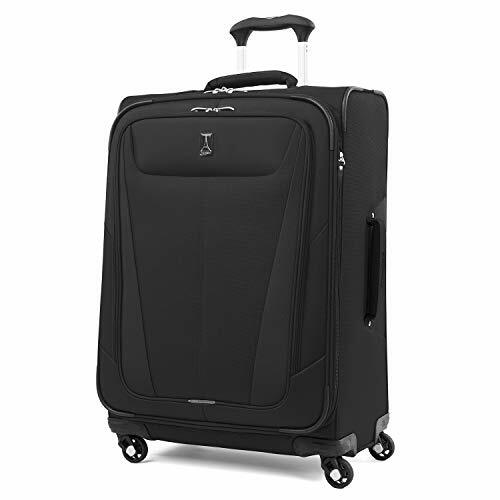 Travelpro Crew 26 Inch Expandable Rollaboard Suiter - This expandable rollaboard suiter offers durable wheel housings, as well as corner guards, side feet, and skid guards help to prevent scratching at the main wear points. 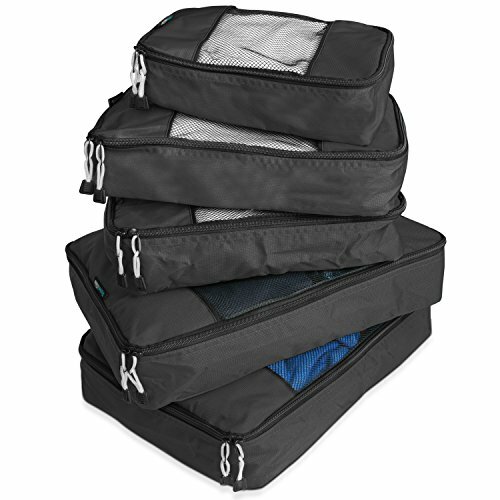 The body of the Travelpro Crew expands, so you can pack a lot of luggage into this suitcase, and not have to worry about paying for extra baggage.